We are happy to announce that we have a collection box in the Library, Hamilton Campus to support Share The Dignity. 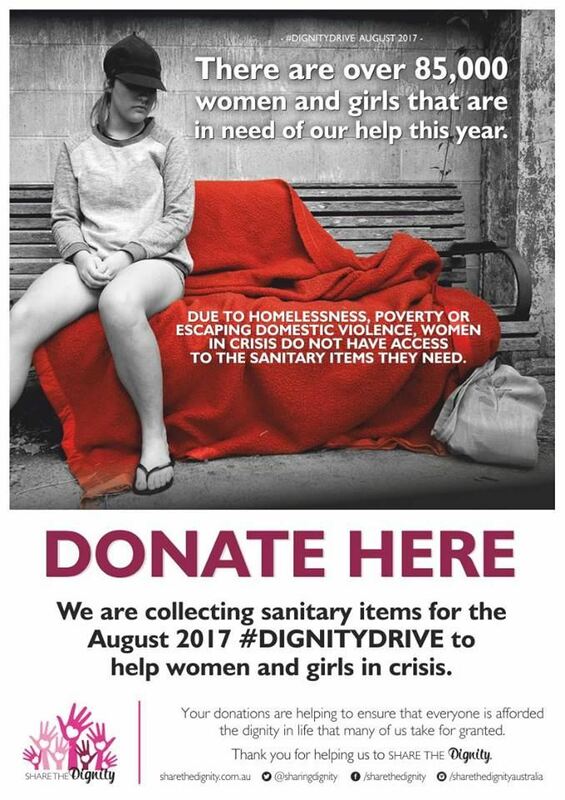 Share The Dignity aims to support homeless women and women in domestic violence shelters who are unable to afford sanitary items. If you would like to supply any sanitary items please drop them into the collection box in the Library (near the newspapers) or to the Library Staff. We are hoping to move the collection box around to different sections on campus so that the campaign is visible to all. Thanks to Toni Foot for raising this community issue and obtaining the collection box from Share The Dignity. 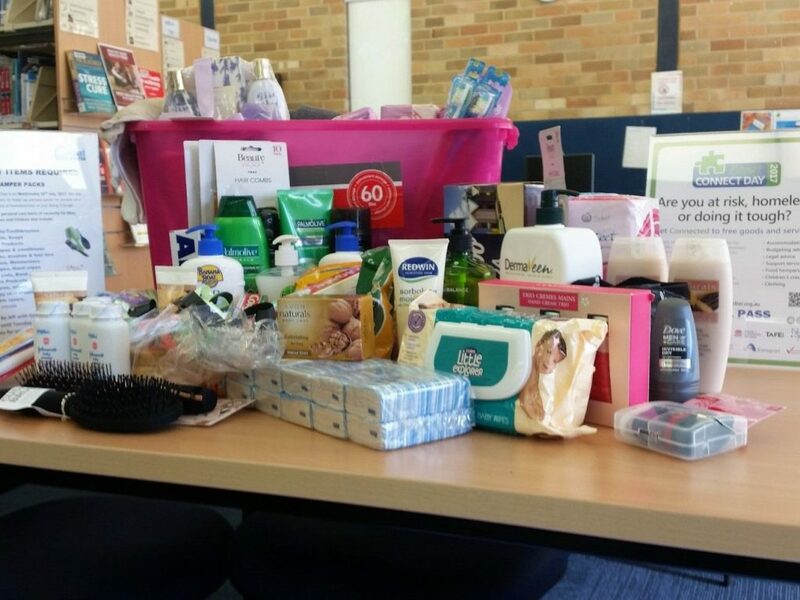 Thank you to all who contributed to the toiletry drive at Gosford Library! The donations will be distributed to homeless people and those in need as pamper packs on Coast Connect Day. This event takes place on Wednesday 26th July 2017 at Niagara Park Stadium.